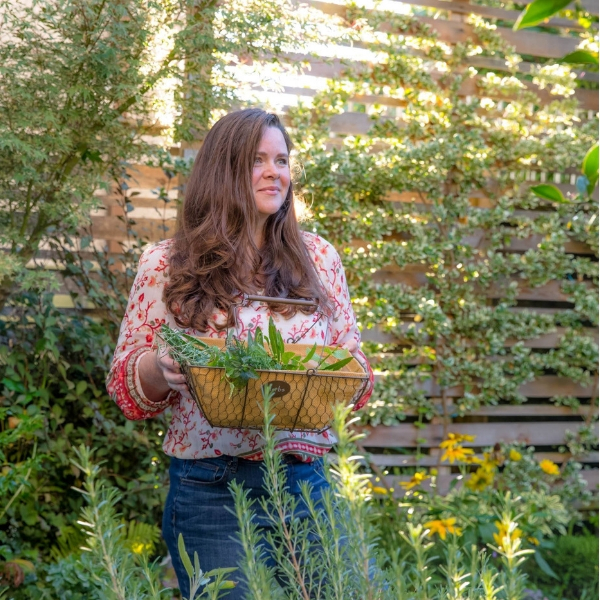 Shaping plants into a formal hedge can be a wonderful way to create privacy or a backdrop in your garden, but it requires some maintenance to keep them looking good for the long term. Here are some tips on pruning hedges along with the tools to use, proper timing, and a few helpful tips. Pruning hedges is very different than pruning trees. While when pruning trees and shrubs I always suggest following the natural lines of the plant, hedges and topiaries are the exception. Because growing a number of plants together in a decorative shape fights against how the plants would naturally grow, it’s best to plan the hedge well and then keep up with the pruning during its lifetime. First things first, make sure you’re growing a hedge with plants that respond well to being grown as a hedge. Hedging plants can be deciduous or evergreen; broad-leaf or conifers. The thing they all have in common is how they respond to heading cuts: by filling out. Plants suitable for hedging will be noted “hedging plants” or “topiaries” on their plant labels. Some popular varieties are boxwood (Buxus), privet (Ligustrum), yew (Taxus), laurel (Laurus nobilis), barberry (Berberis), quince (Cydonia oblonga), Euonymous, holly (Ilex), juniper (Juniperus), Arborvitae, cedar (Cedrus), Pyracantha, and Viburnum. Plants that are trained from a very young age make for the best hedge. In the first two years, the plants will be cut back six to eight inches to encourage branching close to the core of the plant. In the third year, the hedge can be shaped. This will determine its structure as it grows to its final mature size. 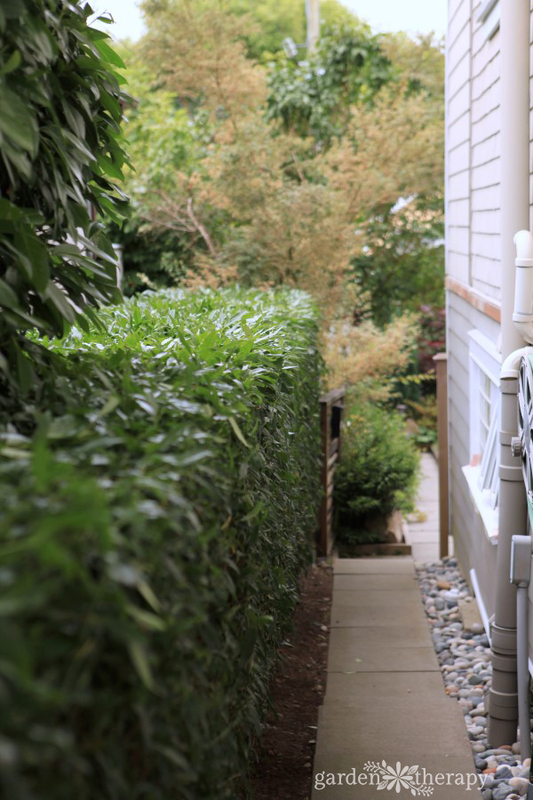 If the hedge isn’t shaped until after the plants have grown to their full size, there won’t be enough branching at the base to create a full hedge. 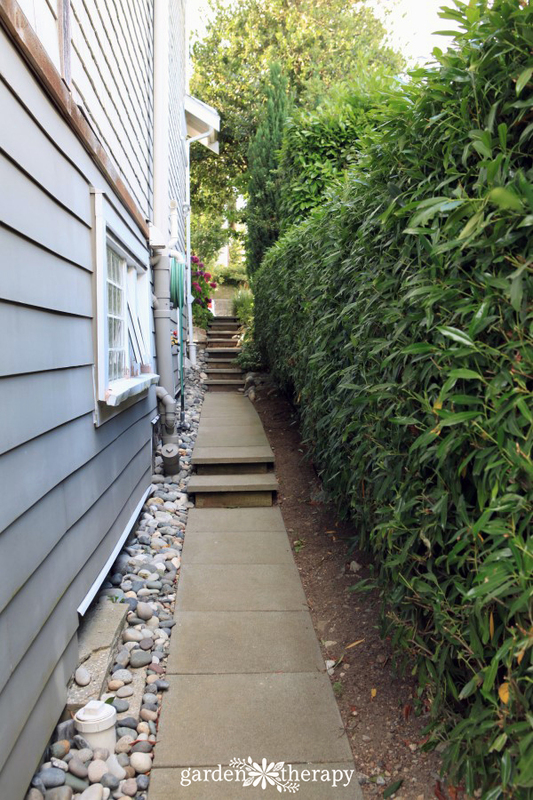 When the hedge is at the size and shape that you like it, the best way to maintain the look is to trim it frequently. As a general rule, prune the hedge before the new growth blocks the sun from the lower leaves. As the lower leaves lose sunlight they begin to die off in favor of the new growth. Some evergreens are quite quick growing and need to be pruned every four to six weeks in the growing season, while others may grow a bit slower and only need to be pruned once. The best way to determine how often to prune is to watch the growth and trim it before it begins to shade the leaves below. Disclosure: a special thank you goes out to Fiskars for sponsoring this post and providing me with the set of pruning tools listed next. All of the opinions that are shared in this post are my own. See the full disclosure policy here. 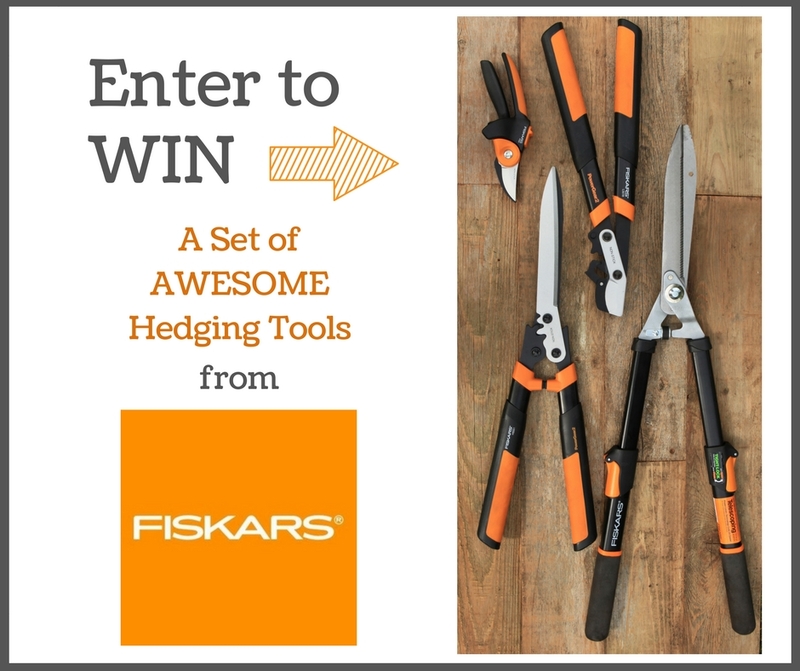 Check out the contest at the end of this post and you could be the lucky winner of your very own set of Fiskars Pruning Tools! 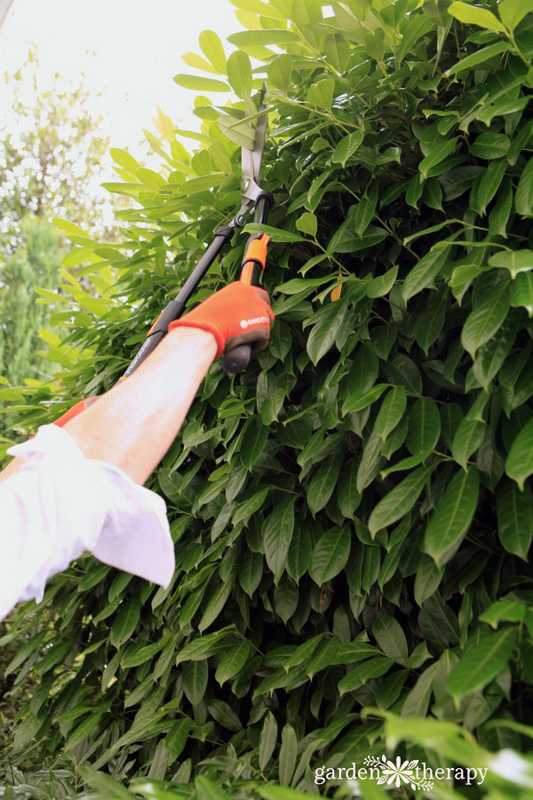 Many people use electric trimmers to prune a hedge but hand tools give you a cleaner cut and less damage to the branches. 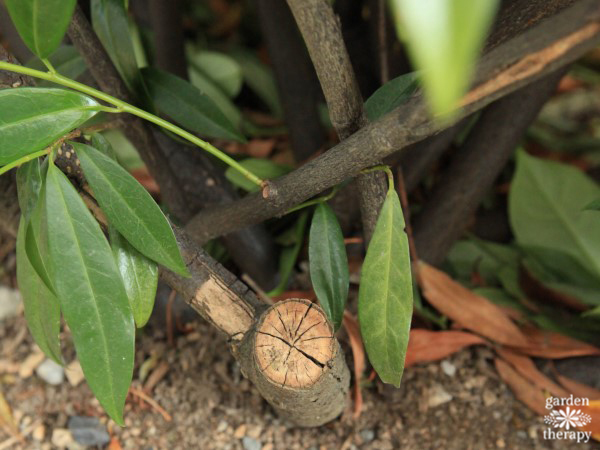 An electric hedging tool will tear and rip the branches leaving uneven cuts, while a hand tool leaves clean cuts that heal nicely and keep the plant healthy. Uneven cuts stress out the plant and are an open invitation for disease. Plus, there are many benefits to silent gardening as I previously wrote about in this post on Silent Lawn Care. Before trimming your hedge, clear your workspace and remember it’s always best to wear safety goggles and gloves. Additionally, you may wish to drop a tarp below your hedge to catch your clippings in order to make cleanup easier. It can be challenging to maintain a uniform shape when pruning a formal hedge. It helps to use guidelines as reference points on where to cut and how much. 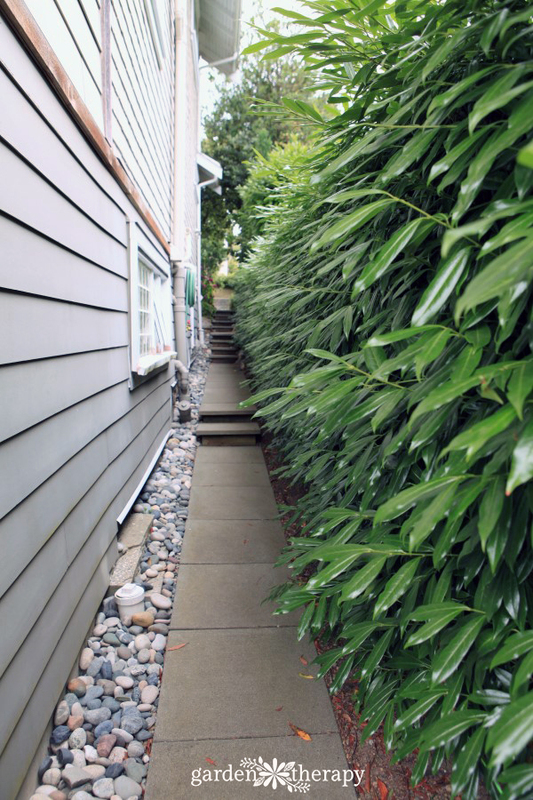 You can achieve this by running a string line tied tautly between stakes along the bottom of the hedge to guide how much of the side to remove and running a string line along the top to guide how much of the top to remove. Clean and sharpen your tools before pruning. Keep a bucket of soapy water and a rag on hand to clean your tools in between plants if you are pruning multiple hedges. As cuts open up the wood to disease, it’s important to make sure you are keeping your tools clean. Use PowerGear2 Pruners to clear out any dead, dying, or diseased wood. The branches of a hedge are thick and woody, so you will want a powerful set of pruners to make quick work of the project. 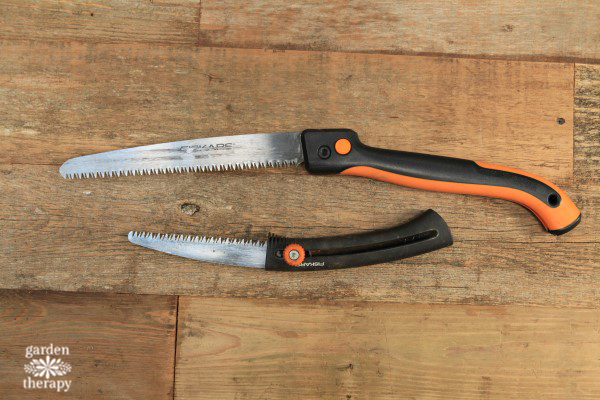 PowerGear2 Pruners give you more power than standard pruners so you can cut thicker branches and use less effort. Keep a POWER TOOTH® Softgrip® Folding Saw (7″) handy for cutting branches thicker than 3/4″ in diameter for PowerGear2 Pruners and 5/8” for standard pruners. The saw blades are incredibly sharp, so it’s best to keep it in the folded position until you need to make a cut. The good news is that it will cut the branch easily with those sharp teeth! The PowerGear2™ Hedge Shears are smaller and lighter than standard hedge shears and yet more powerful. This makes them very easy to use, especially if you are pruning a large hedge. Start pruning at the bottom of the hedge and work your way up so that cut branches and leaves at the top can freely fall to the ground. 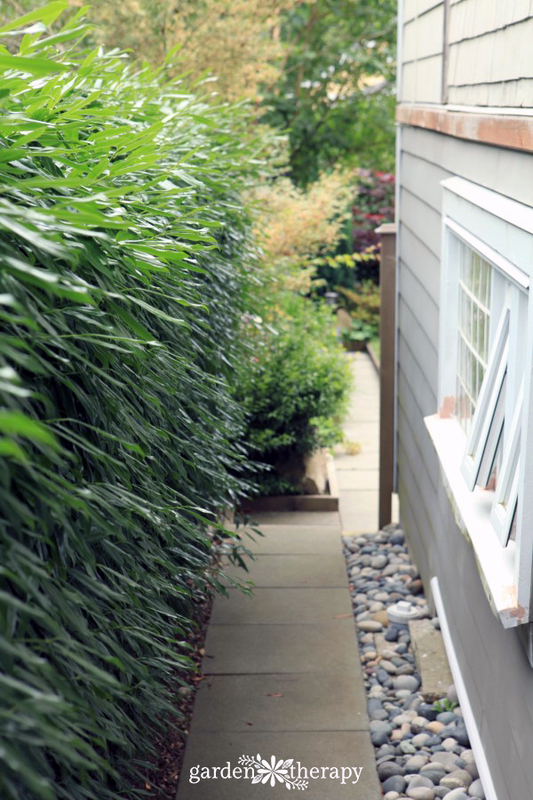 Shear the hedge in shallow layers to make sure you don’t accidentally expose bald spots in some of the shrubs. 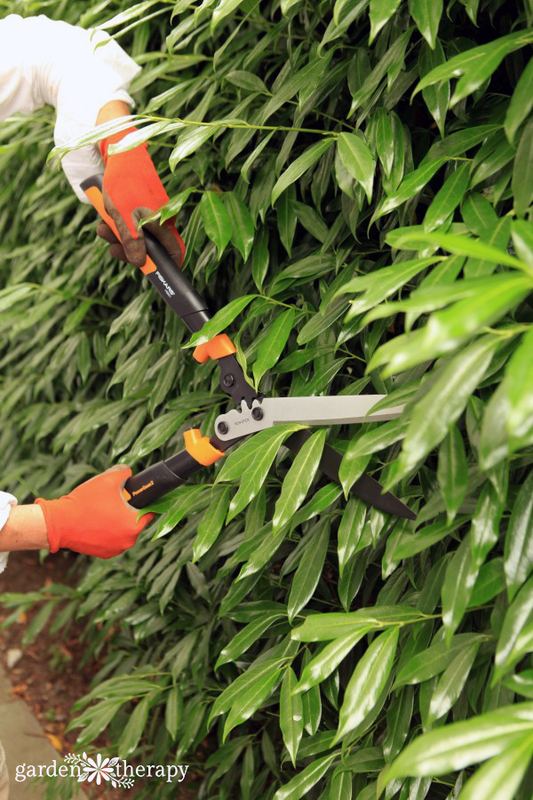 Position the blades at a right angle to the branches to get the cleanest cut. Be sure not to twist the branches or approach them at an odd angle, as they won’t cut cleanly. If you use a string line, ensure that your shears are consistently parallel with your shrub to stay on track. If you tend to go off line a little bit it’s not going to make a huge difference; the plant will grow and fill in the gaps. With practice, it will become second nature. 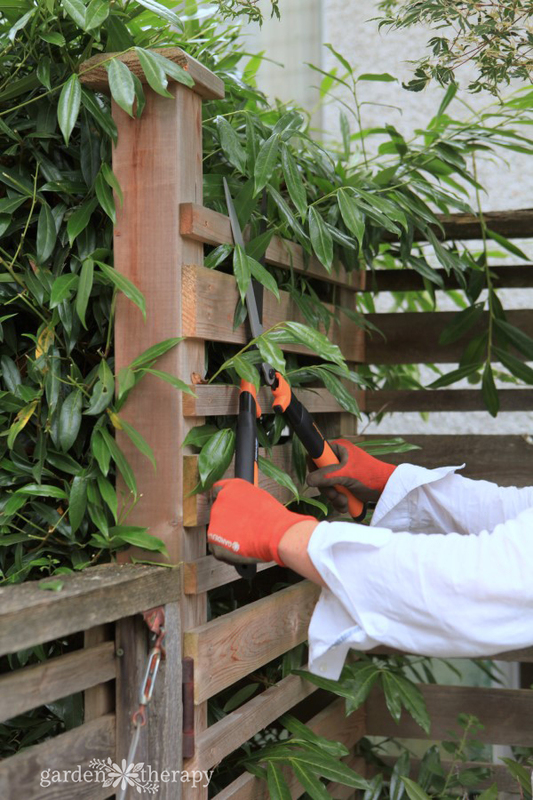 If you have a high hedge, then the Power-Lever® Extendable Hedge Shears will make the job a whole lot easier! Extendable handles make high, hard-to-reach or awkward cuts easier. If the hedge is short enough, you don’t have to climb up and down a ladder a bunch of times. 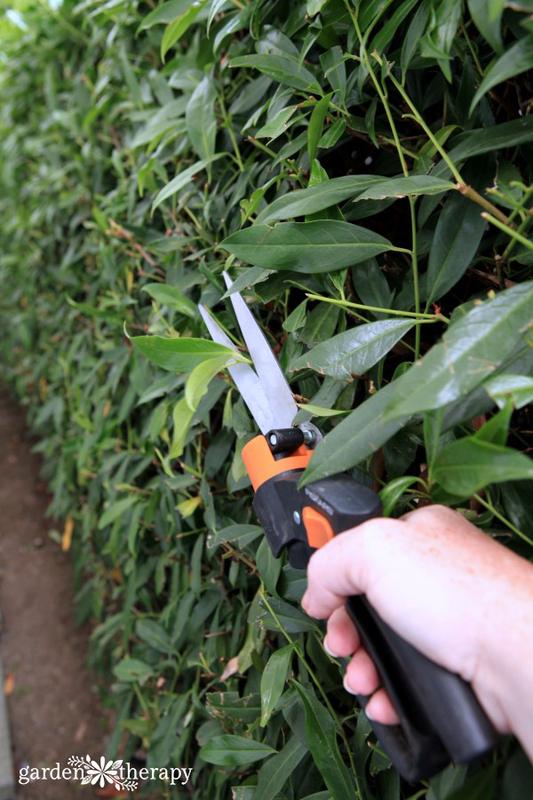 If the hedge is taller, you still benefit from telescoping shears because you can use a shorter and more stable ladder. This is particularly helpful in small spaces. 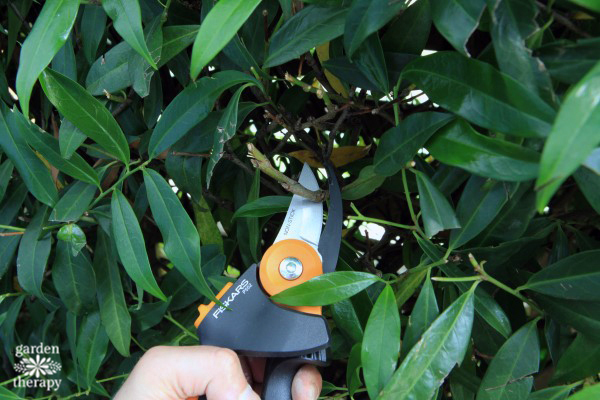 After pruning your hedge, go back with Power-Lever® Grass Shears and PowerGear2 Pruners to clean up any of the little bits that pop up after shearing is complete and to remove any leafless branches that protrude. Grass shears are my go-to tool for finishing work. You can see how great they work on decorative topiaries here. 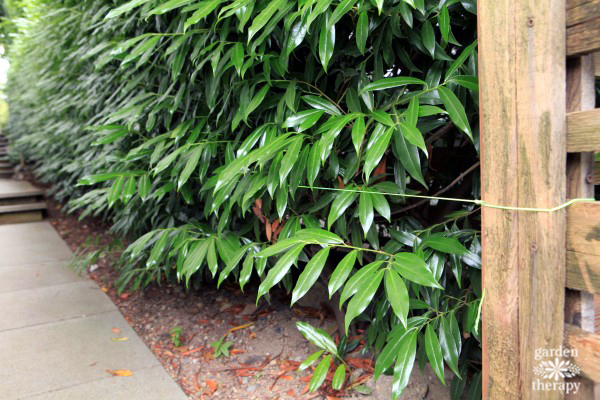 If your hedge has become overgrown, or is bare or dying back, it can be hard to repair. Evergreen plants will not generally fill back in; it is better to replace the individual plants. Deciduous hedges will come back over time if carefully pruned when dormant. Either way, it’s best to keep up with the job throughout the season and maintain your hedge properly than to fix problems once they arise. Fiskars has generously agreed to GIVE AWAY a set of PowerGear2 Pruners, PowerGear2™ Hedge Shears (23″) , and Power-Lever® Grass Shears. The winner was Cindi Webber! Congratulations, Cindi! Pruning is just about one of my favorite things to do out in the garden. I love to shape trees and bring out their natural beauty. 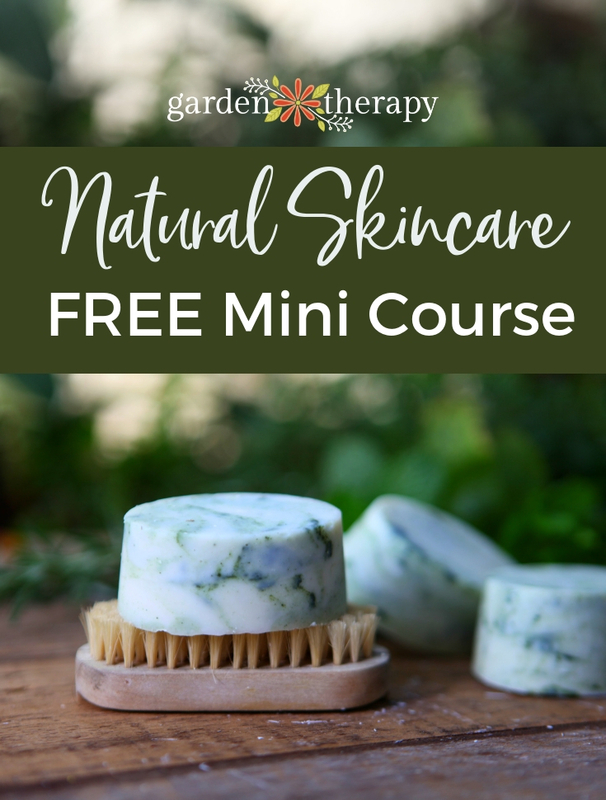 There are many people who are quite afraid of pruning and these guides are a great way to take the fear out of it! I know that hedges are supposed to have some kind of shape to them, but mine are so overgrow. I know they are due for a trim. I like that this article provides advice and pictures and tips, like finding the shape you want, and trimming them often to maintain that shape.